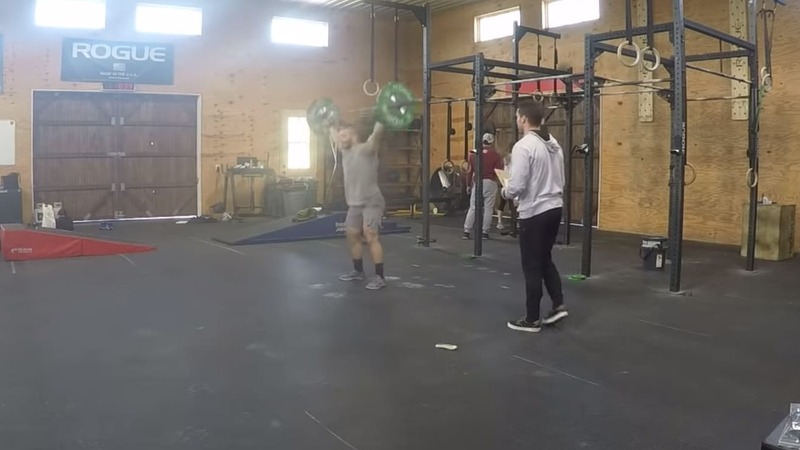 The World's Fittest Man completed the 19.4 workout in convincing fashion. Mat Fraser is the 2018 CrossFit Games champion (Three wins total) and he showed out for the 19.4 CrossFit Open workout finishing with a time of 8 minutes, and 8 seconds. Now, he doesn’t need to qualify as he already did in December at the Dubai CrossFit Championships but he’s still the best in the world and his involvement in the Open is not surprising. Fraser finished 3rd in the 19.2 and 19.3 workouts after placing 59th but we knew he’d kicked it into gear when necessary. After all, he is the best in the world by a pretty large margin. But there are some other amazing male CrossFit athletes gunning for the top spot including last year’s CrossFit Games runner up, Patrick Vellner from Canada. The final scores for 19.4 have not yet been finalized so keep an eye out for the leaderboard scores. Here’s the video of Mat Fraser’s 19.4 Workout with Tia-Claire Toomey in the background also performing her workout. Fraser is looking forward to the 19.5 workout announcement in Miami on March 31st where he’ll go up against two-time female CrossFit Games champion (2017 and 2018) Tia-Claire.